“Eagles Wings”-Hope, generosity and adventure. The Explorer Club Africa were thrilled to once again host the volunteers and children of the “Eagles Wings” charity. We are immensely proud to have been involved in this fantastic organization for the past fourteen years. The non-profit organisation “Eagles Wings” has an incredible ninety percent fund delivery at the grassroots level. The “Eagles Wings” (EW) organization is a sustainable, community-focused charity partnership between “Eagles Wings” Zambia and “Eagles Wings” Australia. 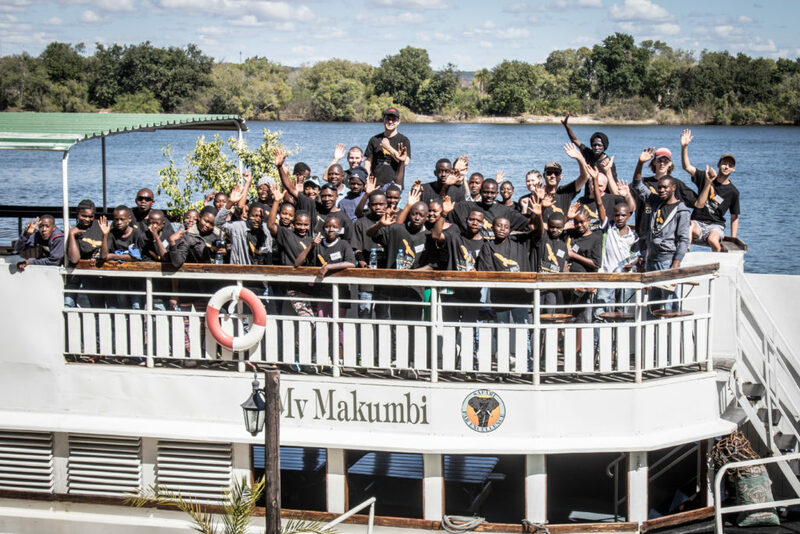 The children and volunteers embarking on their cruise courtesy of Safari-Par-Excellence. 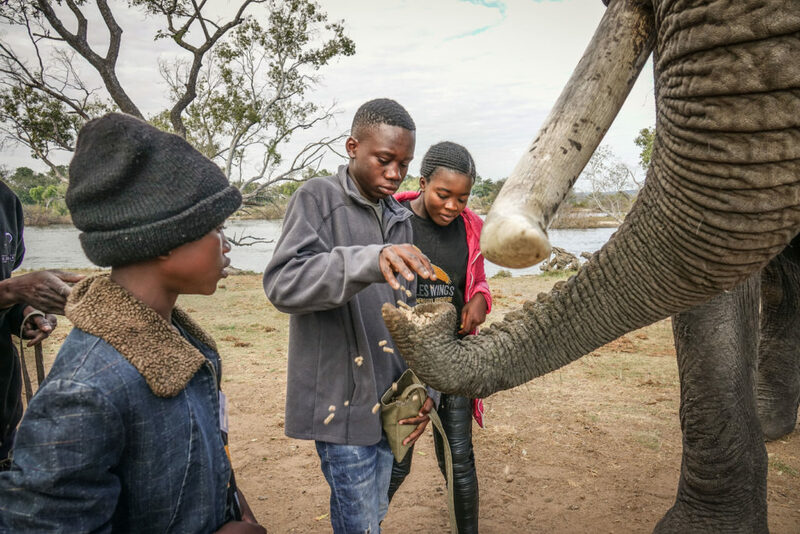 On this years visit the children and volunteers took part in a Cruise and met our incredible herd of rescued Elephants, all donated by “The Explorer Club Africa”. 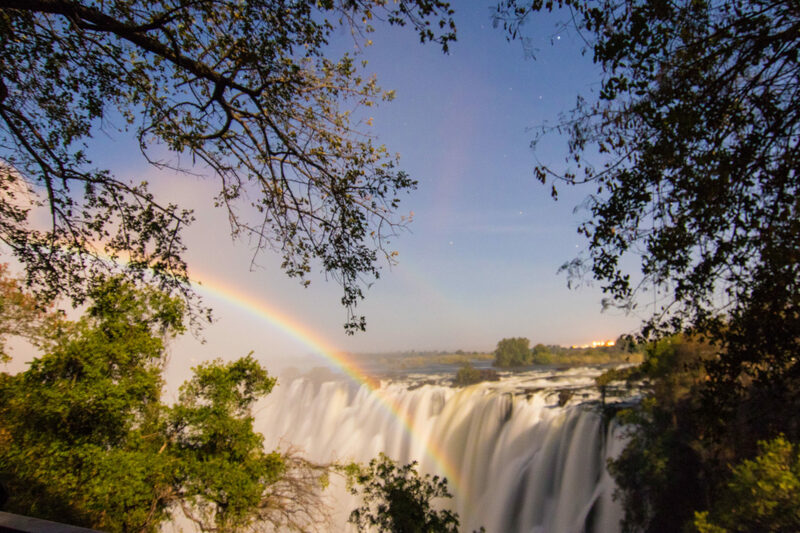 While “Abseil Zambia” and “Livingstone’s Adventures” donated pony rides and gorge swings, all aimed at allowing these special kids to experience all their amazing country has to offer. From all of us in the Livingstone tourism community thank you for the work you do and we hope you all had an incredible time. 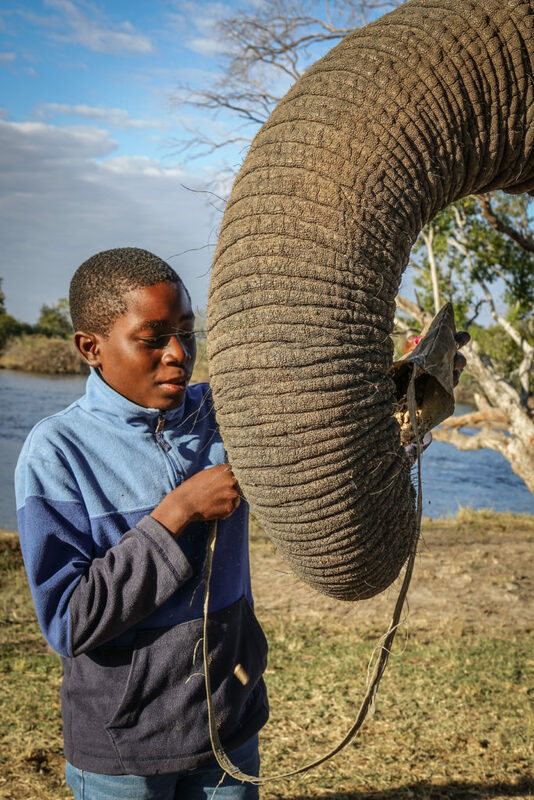 Many of these children would not have had the opportunity to get this close to, or even see an elephant. Thank you “Madinda” for being the perfect gentleman and posing with the kids. The “Eagles Wings” charity is an exceptionally worthwhile cause, the Australian “Eagles Wings” chapter is successfully registered on the ACNC Charity Register and has the tick of approval. The Australian Charities and Not-for-Profits Commission (ACNC) recently launched ‘Tick of Charity Registration’ which aims to give reassurance to the public that a charity is transparent and accountable by highlighting its presence on the ACNC Charity Register. 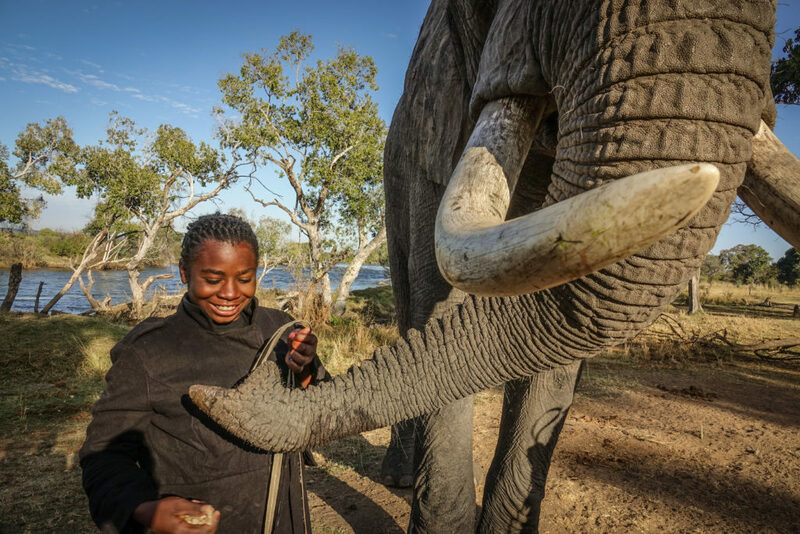 While the Zambian “Eagles Wings” chapter is led totally by indigenous Zambians, exceptionally hands-on, one of the core values is that this project and partnership is led by Zambian management and staff. “It is “Eagles Wings” firm belief that the best people to lead and facilitate the project are the people who live, work and play in that community. They know the people, the culture, the language, the best ways to communicate, have the best opportunities to nurture healthy and productive relationships and have the most to gain from seeing a successful project established”. 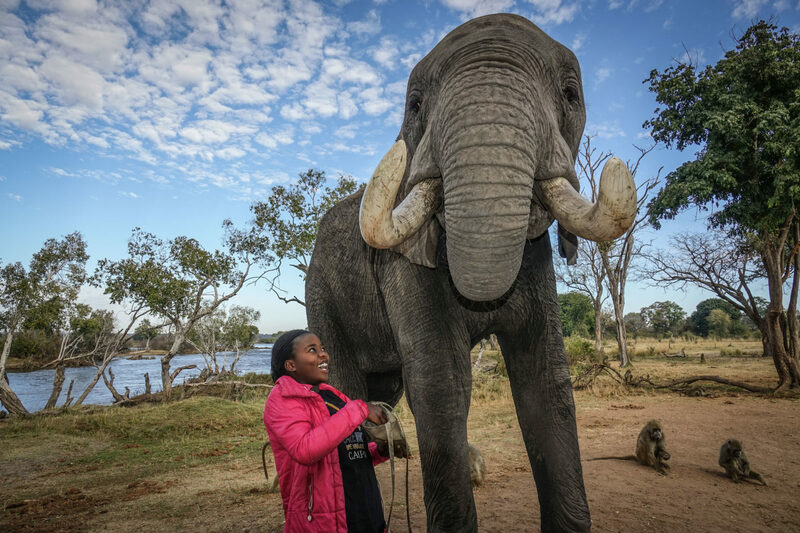 The Children thoroughly enjoyed hanging out with “Madinda”. 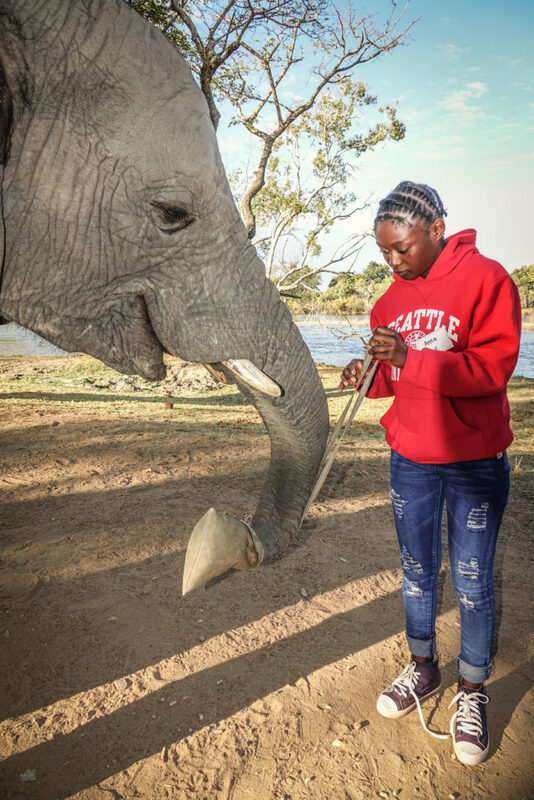 We believe strongly that our rescued herd of African Elephants be utilized to educate the next generation of the value of our countries wildlife. “Madinda” certainly took this mandate to heart. 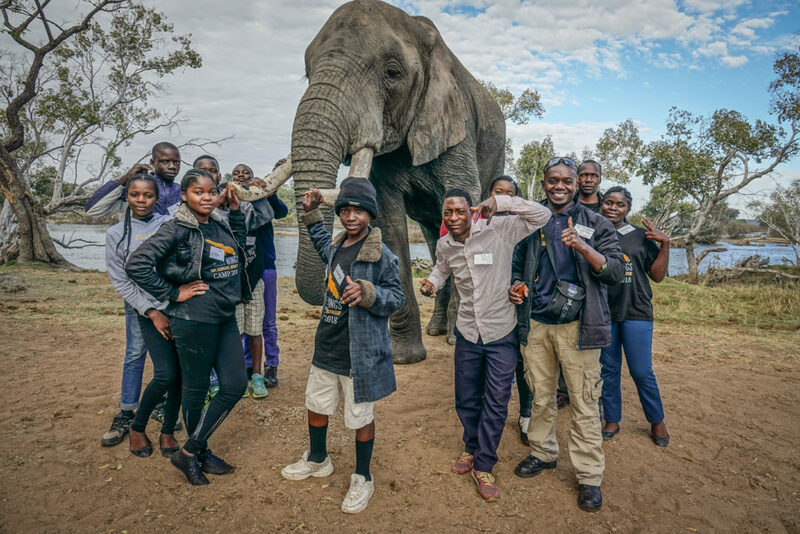 From all the staff and the elephants at “The Explorer Club Africa”, thank you for visiting, we wish you all the best and see you next year. Sharing a special moment :). One of our special guests, having an opportunity to get close and examine one of our countries iconic species.